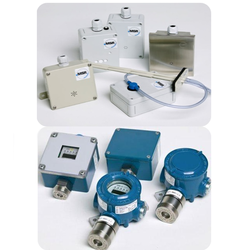 Our product range includes a wide range of hydrogen gas sensor, ethylene gas sensor, continuous monitoring combustible gas sensors, nitrogen dioxide gas sensor, sulphur dioxide gas sensor and emission monitoring sensor. MSR – ADT-23-3440 Hydrogen Gas Sensor ADT-23 series Hydrogen (H2) sensor. 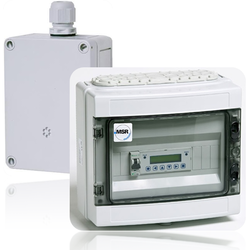 ADT transmitter with digital processing of the measured values and temperature compensation for the continuous monitoring of the ambient air and detection of combustible gases and vapors. The transmitter is used within a wide commercial range for detecting flammable gases and vapors. MSR – ADT-D3-1189 Ethylene Gas Sensor ADT-D3 Ethylene (C2H4) sensor. C2H4 transmitter with two-beam infrared sensor for the continuous monitoring of the ambient air to detect Ethylene concentrations. For monitoring Ethylene concentrations caused by the maturation of fruits during transportation or storage. Challenges in Gas Industries now has a demand for a long life sensors that lasts long and saves maintenance cost. It gives us immense pleasure to highlight our new long life gas sensors that reduces the maintenance cost considerably. The life of a sensor depends on various factors such as the technology used, environmental conditions ,gas exposure, etc. However, there is always an estimated life span for a gas sensor when operated under ideal conditions. Our PolyGard II series now offers gas sensor with a life of three years and as an option it can be supplied with a life span of five years. Quite often the life of a gas sensor is overlooked against the initial price for gas sensors with 2 years life. 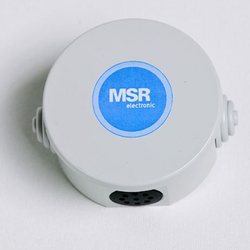 MSR – MA-2-1130 Nitrogen Dioxide Gas Sensor Nitrogen Dioxide (NO2) – sensor for the continuous monitoring of gases and vapors in the air, 4 – 20mA analog signal output and can be used for car park applications. 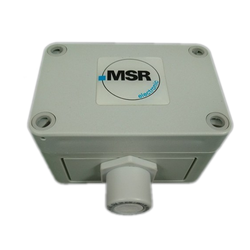 MSR – MA-5-1196 Sulphur Dioxide Gas Sensor Sulphur Dioxide (SO2) – sensor for the continuous monitoring of gases and vapors in the air, 4 – 20mA analog signal output and can be used for car park applications. MSR – ADT-03-3440 Hydrogen Gas Sensor ADT-03 series Hydrogen (H2) sensor. ADT transmitter with digital processing of the measured values and temperature compensation for the continuous monitoring of the ambient air and detection of combustible gases and vapors. The transmitter is used within a wide commercial range for detecting flammable gases and vapors. ALVI AUtomation India, in association with Gas Alarm Systems Australia, introduce tested, trusted MSR Germany SPC-03-1110 Carbon monoxide, CO Stand alone pollution continuous monitor to meet statutory compliance of EPA, pollution control board requirements. Steel plants, Coke Oven plants, Coal Processing plants, Blast Furnace, all need CO carbon monoxide monitoring system to ensure CO pollution, emission requirements for statutory compliance. 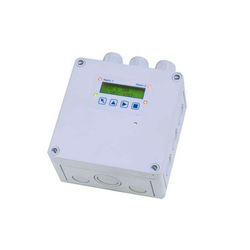 MSR SPC-03-1110 CO continuous monitoring system is standalone system built in integral CO sensor cell which can monitor pollution, emission in the range of 0-300 ppm carbon monoxide. MSR – ADT-23-3460 N-Butane Gas Sensor ADT-23 series n-Butane (C4H10) sensor. ADT transmitter with digital processing of the measured values and temperature compensation for the continuous monitoring of the ambient air and detection of combustible gases and vapors. The transmitter is used within a wide commercial range for detecting flammable gases and vapors. MSR – ADT-53-1188 Silane Gas Sensor ADT-53 series Silane (SiH4) sensor. Silane transmitter including digital measurement value processing and temperature compensation for the continuous monitoring of the ambient air to detect Silane concentrations. For the detection of Silane within a wide range of industrial and commercial applications. 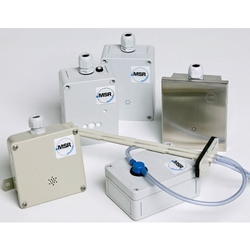 MSR – MA-5-1120 Ammonia Gas Sensor Ammonia (NH3) – sensor for the continuous monitoring of gases and vapors in the air, 4 – 20mA analog signal output and can be used for the measurement of ammonia for OH&S applications in chiller plant rooms. 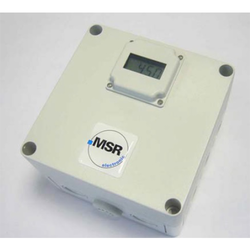 MSR – MA-9-1195 Oxygen Gas Sensor Oxygen (O2) – sensor for the continuous monitoring of gases and vapors in the air, 4 – 20mA analog signal output and can be used for laboratory applications. MSR – ADT-03-3408 Ammonia Gas Sensor ADT-03 Series Ammonia (NH3) sensor. ADT transmitter with digital processing of the measured values and temperature compensation for the continuous monitoring of the ambient air and detection of combustible gases and vapors. The transmitter is used within a wide commercial range for detecting flammable gases and vapors. MSR – ADT-53-1197 Hydrogen Sulphide Gas Sensor ADT-53 series Hydrogen Sulphide (H2S) sensor. H2S transmitter including digital measurement value processing and temperature compensation for the continuous monitoring of the ambient air to detect Hydrogen Sulphide concentrations. For the detection of Hydrogen Sulphide within a wide range of industrial and commercial applications. MSR – ADT-03-3430 Benzene Gas Sensor ADT-03 series Benzene (C6H6) sensor. ADT transmitter with digital processing of the measured values and temperature compensation for the continuous monitoring of the ambient air and detection of combustible gases and vapors. The transmitter is used within a wide commercial range for detecting flammable gases and vapors. MSR – ADT-53-1190 Ozone Gas Sensor ADT-53 series Ozone (O3) sensor. O3 transmitter including digital measurement value processing and temperature compensation for the continuous monitoring of the Ozone concentration in the ambient air. 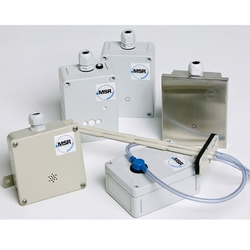 For the detection of Ozone within a wide range of industrial and commercial applications. MSR – MA-2-1120 Ammonia Gas Sensor Ammonia (NH3) – (Pellistor) sensor for the continuous monitoring of gases and vapors in the air, 4 – 20mA analog signal output and can be used for measuring LEL in chiller plant applications. 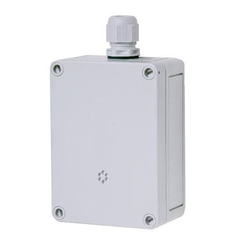 MSR – MA-3-2089 Ethylene Gas Sensor Ethylene (C2H4) – sensor for the continuous monitoring of gases and vapors in the air, 4 – 20mA analog signal output and can be used for ripening of fruits applications. 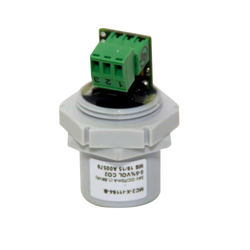 MSR – ADT-03-3435 N-Hexene Gas Sensor ADT-03 series n-Hexene (C6H12) sensors. 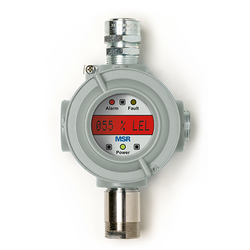 ADT transmitter with digital processing of the measured values and temperature compensation for the continuous monitoring of the ambient air and detection of combustible gases and vapors. The transmitter is used within a wide commercial range for detecting flammable gases and vapors. 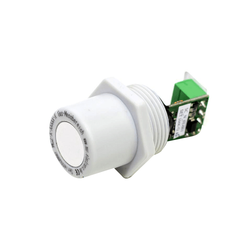 MSR – MA-3-1120 Ammonia Gas Sensor Ammonia (NH3) – (Semiconductor) sensor for the continuous monitoring of gases and vapors in the air, 4 – 20mA analog signal output and can be used for chiller plant broad spectrum Yes/No applications. For online, continuous monitoring, analysis in open, closed, industrial environment. 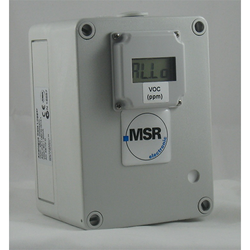 MSR Electronic, Germany Carbon Monoxide (CO) sensor transmitter includes digital measurement value processing and temperature compensation for the continuous monitoring of the ambient air to detect carbon monoxide concentrations (CO). 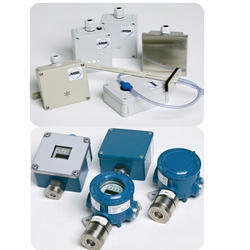 Comfortable calibration routine with selective access release is integrated in the transmitter. Tunnels, coal mines, underground mines -- for detection of toxic gas carbon monoxide. Industries, coal fired furnace, gas trains -- to detection concentration of carbon monoxide in environment, emission and monitor to keep under norms. Very Early fire detection (advanced version)-- for detection and monitoring of fire, very early..earlier than smoke detection and VESDA. Much better and effective than smoke sensor detectors. MSR – ADT-03-3410 Ethylene Gas Sensor ADT-03 series Ethylene (C2H4) sensor. ADT transmitter with digital processing of the measured values and temperature compensation for the continuous monitoring of the ambient air and detection of combustible gases and vapors. The transmitter is used within a wide commercial range for detecting flammable gases and vapors. MSR – ADT-03-3425 Ethyl Alcohol Gas Sensor. ADT-03 series Ethyl alcohol (C2H5OH) sensor. ADT transmitter with digital processing of the measured values and temperature compensation for the continuous monitoring of the ambient air and detection of combustible gases and vapors. The transmitter is used within a wide commercial range for detecting flammable gases and vapors. 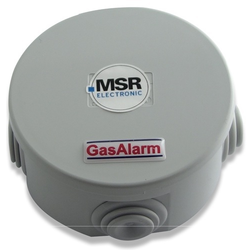 MSR – MA-0-1110 Carbon Monoxide Gas Sensor Carbon Monoxide (CO) – sensor for the continuous monitoring of gases and vapors in the air, 4 – 20mA analog signal output and can be used for car park applications. 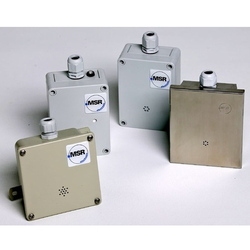 MSR – MA-4-2067 Freon R411a Gas Sensor Freon – sensor for the continuous monitoring of gases and vapors in the air, 4 – 20mA analog signal output and can be used for chiller plant room broad spectrum Yes/No applications. MSR – ADT-53-1186 Hydrogen Chloride Gas Sensor ADT-53 series Hydrogen Chloride (HCl) sensor. HCL transmitter including digital measurement value processing and temperature compensation for the continuous monitoring of the ambient air to detect Hydrogen Chloride concentrations. For the detection of Hydrogen Chloride within a wide range of industrial and commercial applications. MSR – ADT-53-1193 Chlorine Gas Sensor ADT-53 series Chlorine (Cl2) sensor. 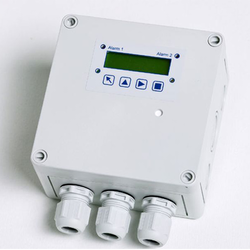 Cl2 transmitter including digital measurement value processing and temperature compensation for the continuous monitoring of the Chlorine concentration in the ambient air. 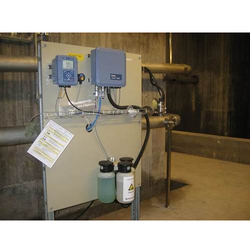 For the detection of Chlorine within a wide range of industrial and commercial applications like waterworks, sewage plants, swimming pools etc. 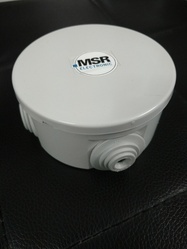 MSR – MA-2-3400 Methane Gas Sensor. 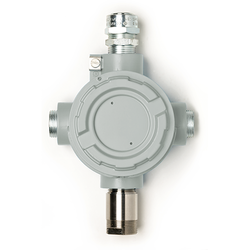 Methane (CH4) – sensor for the continuous monitoring of gases and vapors in the air, 4 – 20mA analog signal output and can be used for boiler plant room applications. MSR – ADT-03-3427 Ethyl Acetate Gas Sensor ADT-03 series Ethyl Acetate (C4H8O2) sensor. ADT transmitter with digital processing of the measured values and temperature compensation for the continuous monitoring of the ambient air and detection of combustible gases and vapors. The transmitter is used within a wide commercial range for detecting flammable gases and vapors. We are offering MSR Kerosene / Diesel Vapor Sensor to our client. Msr Germany Sensor For Defence Camp/tent Protection System Gas Alarm Systems India In Association With Gas Alarm Systems Australia Offer Msr Germany Defence Camp/tent Protection System For Rapid Deployment Force. 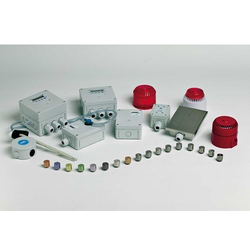 MSR Standalone sensor for Combustible and Flammable Gas ALVI Automation Gas Alarm System India offer MSR Electronic, Germany standalone gas controller ie. 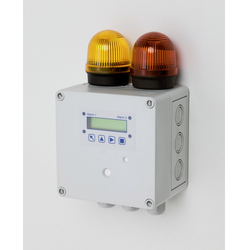 controller with inbuilt sensor for continuous monitoring of combustible, flammable gases and intiating warning signal. SPC series comes with inbuilt sensor to monitor gas and trigger alarm, fans etc. Multi gas controller for toxic and combustible gases, refrigerants and oxygen. Gas measuring, warning and monitoring controller based on state-of-the-art micro technology for continuous monitoring of the ambient air to detect toxic and combustible gases, refrigerants or oxygen. Internal function monitoring with integrated hardware watchdog, hardware and software according to SIL2 compliant development process. Easy sensor change or comfortable on-site calibration. Modular technology (plug-in and changeable), reverse polarity protected, overload and short-circuit proof. Three relays with changeover contact, potential-free max. 250 V AC, 5 A. Two transistor outputs, 24 V DC, 0.1 A (plus switching). Serial RS 485 interface with protocol for DGC06, also Modbus protocol as an option, display depending on type and multicolor power LED. IP 65 protected enclosure, SIL2 compliant. 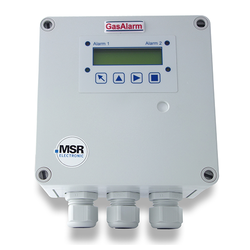 Gas Alarm SystemsAustralia in association with Gas alarm systems India ( are pleased to introduce MSR Germany, Infrared Gas Detector for CO2, carbon dioxide. Carbon dioxide, CO2 is highly toxic gas and create health issue. ALVI Automation India with Gas Alarm Systems Australia have MSR Gas Detector, Gas Analyzer, Gas Sensor, Gas Transmitter under MSR Microgard & Polygard range to meet world critical safety standards for life and plant protection. Our product range includes MSR microgard & polygard, MA, MC2, ADT, SPC, Polyzeta 2 for hazardous zone 1, zone 2 areas. it has IEC EX, ATEX certification with SIL 2. Parking ventilation, combustion, furnace ventilation, producer gas leakage monitoring, coal gas monitoring, coal area, thermal power plants, blast furnace, kitchen etc. Microprocessor Based Gas Sensor With 4 – 20 Ma / Rs485 Modbus Output Signal, Alarm And Fault Relays (All Sil2 Certified) For Monitoring The Ambient Air To Detect Combustible Gases And Vapors Within The Lower Limit (Lel) By Means Of A Catalytic Sensor Element (Pellistor) Or An Infrared Sensor Element. The Calibration Of Sensors Without Lcd Display Is Carried Out Via The Calibration Device Cal Px Or The Pc Software Pc-soft 80. Sensors With Lcd Display Have An Integrated Calibration Routine That Is Started From The Outside By A Permanent Magnet Without Opening The Housing. In Case Of An Alarm Or Failure The Backlight Of Sensors With Lcd Display Changes From Green To Red. The Gas Sensor Is Sealed And Thus The Housing In Zone 1 Can Be Opened During Operation At Any Time (Ex Demb[ib]). The Polyxeta®2 Sensor Is Used In Industrial Areas Like Oil/gas Industry, Biogas Plants, Petrochemical Industry, Power Plants Etc. In Ex-zone 1. The Polyxeta®2 Sensor Is Also Suitable For Commercial Areas Like Gas Transfer Stations Etc. 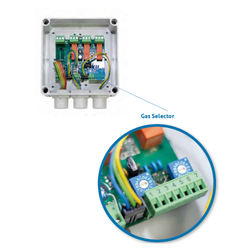 With The 4 – 20 Ma / Rs485-modbus Output Signal The Sensor Is Suitable For Connection To The Polygard®2 Gas Controller Series By Msr-electronic, As Well As To Any Other Controller Or Automation Devices. Optionally, The Polyxeta®2 Sensor Is Also Available With Lcd Display And Relay Output. 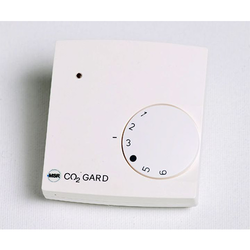 Carbon Dioxide CO2-ADT-D3 1164 sensor Infrared technology ALVI – India in association with Gas Alarm Systems – Australia take pride to offer MSR Germany Carbon Dioxide CO2 - ADT-D3 1164 Transmitter with Infrared Sensor. CO2 transmitter with two-beam infrared sensor for the continuous monitoring of the ambient air to detect carbon dioxide concentrations. The infrared measuring method with integrated temperature and drift compensation stands for highest accuracy, selectivity and reliability despite of the calibration interval of 3 years. The ADT-D3 possesses a standard analog output (0) 4- 20 mA or (0) 2– 10 V DC, and an RS-485 interface. 2 relays with adjustable switching thresholds as well as an integrated display are available as options. For detecting leakages in refrigeration plants with carbon dioxide as refrigerant, and also within a wide range of commercial and industrial applications. The measuring range 2000/ 5000 ppm is provided for the indoor air quality control. Due to the standard analog signal and the RS-485 serial interface the CO2 transmitter is compatible to the Poly-Gard gas controller series by MSR-E as well as to any other controllers or automation systems. 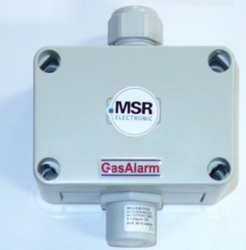 Gas Alarm Systems Australia offer MSR GermanySensor for MSR-Electronic Sensor unit MC2 for toxic gases and oxygen. Exchangeable sensor unit including digital value processing, temperature compensation and self control for the continuous monitoring of the ambient air.The sensor unit MC2 houses a module with μController, analog output and power supply in addition to the electrochemical sensor element including amplifier. The μController calculates a linear 4 – 20 mA (or 2 – 10 V) signal out of the measurement signal and also stores all relevant measured values and data of the sensor element.Calibration is done either by simply replacing the sensor unit or by using the comfortable, integrated calibration routine directly at the system. MGC-03 Analogue Gas Controller (Expandable) is a gas measuring and monitoring controller with buzzer for continuous monitoring of air and ability to detect toxic and combustible gases and vapours including Oxygen and Freon Refrigerants. MGC03 is equipped with two analogue inputs for connection to transmitters. It is suitable for wide range of commercial and industrial applications. Free programmable parameters and set-points enable the individual adaptation to a variety of possible applications in the field of gas measuring and monitoring. Suitable for toxic and combustible gases and vapours, oxygen, refrigerants, temperature, pressure, humidity etc. 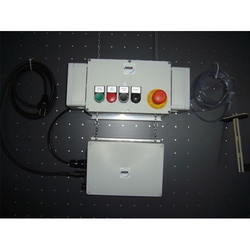 Built for a standard this transmitter is compatible with the PolyGard series controllers the MGC/DGC as well as any other electronic control or automation system. The pH value is measured through a bypass line in the open outlet at the existing hydrostatic pressure. Depending on the number of measuring points, transmitters of the stratos series can be used or multichannel measurements using protos analyzers can be taken.